Janet is insisting that I post some sort of update, which is all well and good but does mean I have to somehow gel things into a coherent whole. That’s something which doesn’t seem immediately possible, given the nature of some of those things anyway, so apologies if this all makes little sense. Maybe you just had to be there. Most of these things happened thanks to the visit of a pixie. Not that I’m complaining. First it turns out that Makka, from In The Night Garden, has an identical twin, Pakka. Then it turns out that Janet has managed to clone Pakka. Worse, her initial attempt went wrong, resulting in ChewMakka! It’s all fine though, for we found God. He was in a pub, taking notes. He also had a cat (which is obvious when you think about it. All cats are aliens—I had a dream that they’d all decided to go home). God wasn’t in the best pub though, that was a different pub entirely (which shall remain nameless as I may want to drink there again). There we found the young lesbians with strange drinks, the robot man having an affair with Graham’s wife (Graham being the really annoying guy from an earlier pub), suicide boy who couldn’t even be cheered up by the attentions of Korn Girl, hat man, the one legged cyclist (I’m not kidding on that one) and a few others I’ve probably forgotten. In fact, we began to wonder if we hadn’t actually eaten the mushrooms we’d seen earlier when wandering around the countryside. 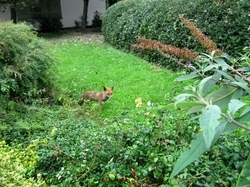 Oh, and to top things off, I saw a fox, near work. There, does any of that make sense? Probably not, but I’m trying to actually publish this post at long last. Nothing you two get up to ever makes sense! 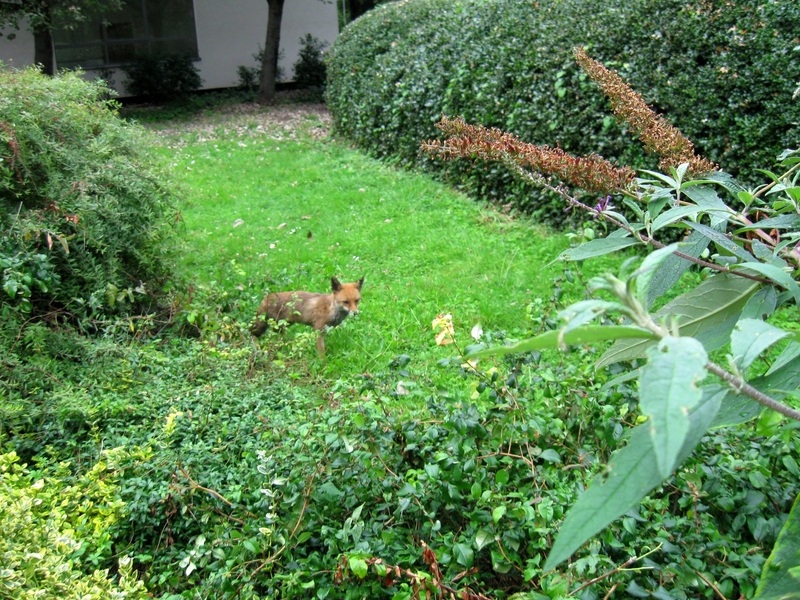 Pepe’s a bit jealous of you taking photos of foxes mind, he hasn’t had his taken for ages!